Step 1 of Anti-Blemish Solutions 3-Step System. Mild cleansing foam helps clear and prevent acne. Removes dirt and excess oil. Unclogs pores. Calms, soothes, reduces the look of redness. Skin feels soft, smooth, comfortable. Pump dispenser 2-3 times. Massage gently over wet skin, avoiding eye area. Rinse. Use AM and PM. If dryness occurs, reduce usage. After blemishes clear, continue using for preventative care. 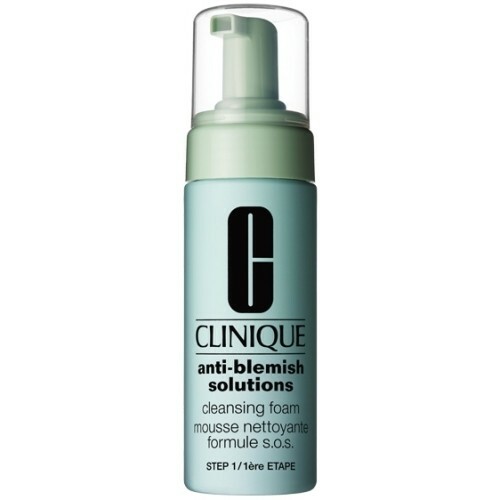 Follow with Anti-Blemish Solutions Clarifying Lotion.